93 cm long. End of top engraved: TO CPL. G from No.4 SQUAD 14-1-16 The top is 4 cm diameter. 75 cm long. Has GIMILLETT carved into side just under the metal top. 58 cm long. 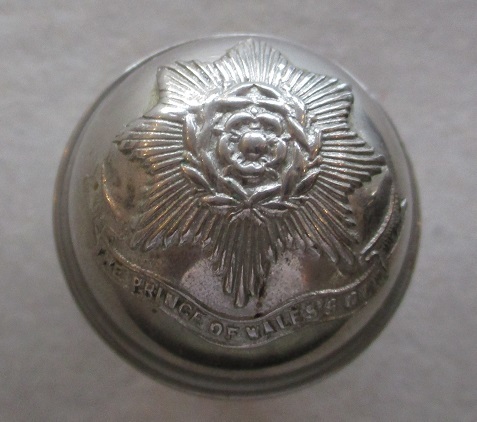 Hallmarked silver top Birmingham 1912. Initials M.C.H. engraved on side of top. 69 cm long. King's Crown. 68 cm long. King's Crown. 67 cm long. GV cypher. 71 cm long. Top is very rubbed but shows SS&SP, probably hallmarks polished out. Bottom part has SS&SP and silver hallmarks but hard to read. 69 cm long. King's Crown. Dent in side of metal top. 67 cm long. Victorian Crown. Dent on one side. 73 cm long. No title but looks like the Buffs dragon. 70 cm long. King's Crown. 70 cm long. GVI cypher. 70 cm long. Dent in top. 66 cm long. Split in metal top. 67 cm long. 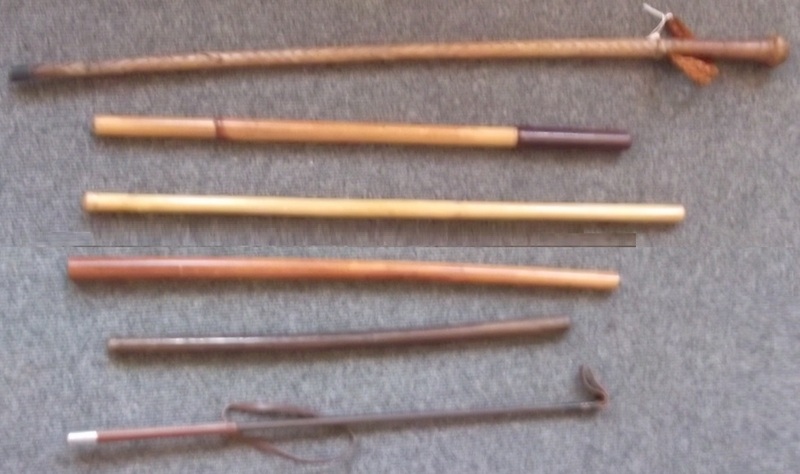 Initials PEB scratched into cane. 68 cm long. Victorian crown. 68 cm long. Presumably for the Rugby School Officer Training Corps. 4. Bamboo Cane. 24 inches long. £20 5.